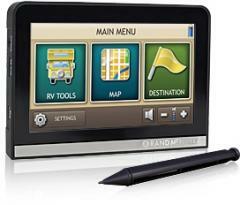 Smaller RV GPS -- the display is 5-inch wide while most GPS units offer 7-inch displays -- with various RV-specific features. Also called Rand McNally RVND 5510. Rand McNally GPS 2019 View all the recent and upcoming Rand McNally GPS.